What do students think about Shakespeare? Classic, timeless and full of rich ideas; or difficult, impenetrable and completely uninteresting? We want young people to develop a real interest in Shakespeare, based on their understanding and engagement with the texts. A meaningful classroom discussion that enables every individual to contribute and covers a range of viewpoints, can help students’ understanding of Shakespeare’s plays, consolidate their learning, and increase their motivation. 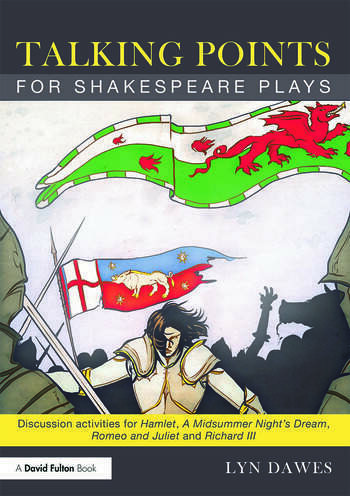 Offering an accessible, thought-provoking and above all enjoyable way for students to engage with Shakespeare’s plays, this book will be highly beneficial reading for English teachers and trainees. Lyn Dawes is a teacher and education consultant, specialising in Science and Talk for Learning. She is the author of a series of books dealing with classroom talk, notably Talking Points: Discussion Activities in the Primary Classroom (Routledge, 2012).